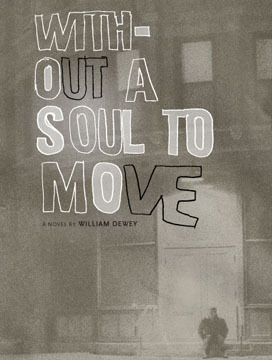 In Denver, Colorado, three men are trying, with strange elegance, to extract meaning from their wilting lives: Howie struggles with the demise of a love that was never quite whole to begin with; Wayne attempts to create a world defined by his absence; and Adam plots a quixotic war against suffering itself. Their wonderful, relatively sane efforts, from solipsistic social experimentation to vicarious relationship counselling and the late-night excursions of a costumed vigilante (with a slightly less committed sidekick), all coalesce as the winter confines of a snowbound Denver close in around them. With graceful writing and an easy understanding of the humour and sadness of the everyday, Without a Soul to Move reveals the brilliant and complex shadows cast by the seemingly ordinary.